An estimated twelve kilos of screws are used to build a medium-sized vehicle. The safety risk “danger to life and limb” applies to 15% of these. Precision and stability are vitally important for these components! If any fail, the resulting accident could cost human lives. In order to ensure the quality of screw connections the tools responsible must undergo regular tests and calibration procedures. Usually these services, in the form of calibrations, must be carried out by the manufacturers of the screwdriving equipment in their own laboratories. 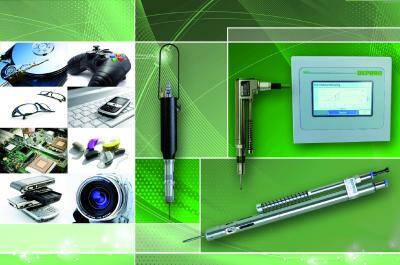 But now DEPRAG SCHULZ GMBH & CO. is also offering a diverse range of service options relating to calibration. 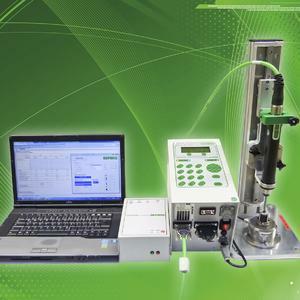 The main feature: calibrations no longer have to be carried out in a calibration laboratory. Since January 2015 they have been offering on-site calibration with their mobile service unit! 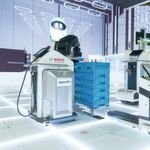 “Since the introduction of this option, around 30% of all calibrations have been provided on-site at the customer’s facilities”, Tobias Dirrigl, Application Technician EC Screwdriving Technology at DEPRAG is pleased to report. The trend is increasing. 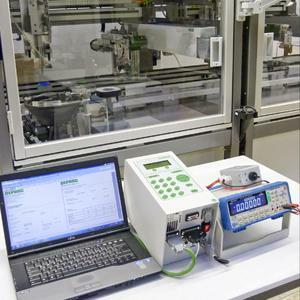 Many well-renowned clients have already tested the calibration service – one of which is the company Valeo Schalter und Sensoren GmbH in Wemding, Germany. Valeo is an international leading supplier in the automobile and commercial vehicle industry. Within the business sectors of comfort and driver assistance systems, drive systems, thermal systems and sight systems, Valeo have developed and produced innovative solutions for improvements in comfort and safety for vehicles – remaining considerate of energy consumption and the environment. 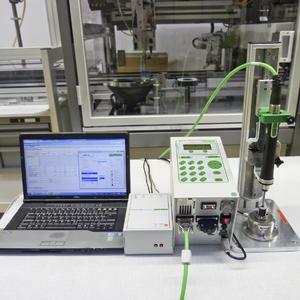 Calibration plays a vital role for technology companies: “The calibration of individual measurement devices and measurement components in our automated systems and manual production systems is an essential service. It provides reliable functionality and totally replicable accuracy for tools (such as the DEPRAG screwdriver) which directly influences the quality and function of our products”, explains Philipp Geyer, Production Planner for Valeo Radar Systems. The quality of assembly and measurement results is decisively influenced by the accuracy of the screwdriving and measurement equipment in use. It is only by using precision tools that false measurements, production problems or even claims for compensation can be prevented. It is not without reason that the DIN EN ISO 9001 standard prescribes regular testing and calibration of measurement devices. 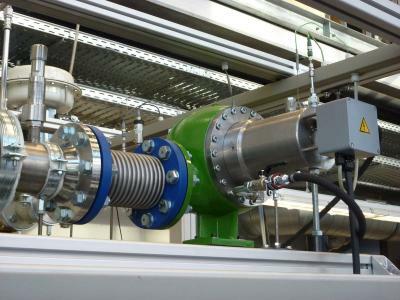 “If the quality control department of a particular company does not allow for a calibration interval in their schedule then we recommend this should be carried out annually or after 1 million screw cycles”, explains Dirrigl. The mobile calibration unit manned by technical experts from DEPRAG can carry out calibrations directly on-site at the customer’s facilities. The calibration wagon with all necessary measurement equipment can navigate individual production lines without disturbing production procedures. The advantages are plain to see: The customer profits from extremely short downtime of their measurement equipment and production tools. They no longer need to be shipped back to the manufacturer. This dispenses with packaging and transport costs as well as logistical expenses and all efforts involved in shipping. It also dispenses with the need for replacement loan tools or back-up versions. Philipp Geyer confirms: “We have decided to go with on-site calibration as this is the only option for us to get our screwdrivers and controllers calibrated with low downtime of the production system. In addition it saves time, effort and costly expenses”. The process for mobile calibration is very similar to factory calibration in an accredited calibration laboratory. The device is calibrated according to DIN EN ISO 9001. The only difference: The calibration takes place during running production. This guarantees that optimum quality is ensured during screw assembly. Finally the customer receives a calibration certificate with proof of traceability to national standards. “When asked by Valeo, we were pleased to recommended mobile calibration for their needs”, said Dirrigl. The verdict from Valeo: “We were extremely happy with this calibration service and look forward to having next year’s calibration procedures carried out in the same manner”. Valeo is an international partner in the automobile and commercial vehicle industry. As a technology company Valeo has developed innovative products and systems for the reduction in CO2 emissions and for the further development of intuitive driving. In the year 2014 the company group achieved 12.7 billion Euros and invested 10 percent of the OEM sales revenues back into research and development. Valeo, with 135 production sites, 16 research and development centres, 35 purely development centres, 15 distribution sites and 82,700 employees in 30 countries, is considered one of the world’s leading suppliers of the automobile and commercial vehicle industry. Valeo is listed in the leading index CAC 40 on the French stock exchange in Paris (Euronext Paris). 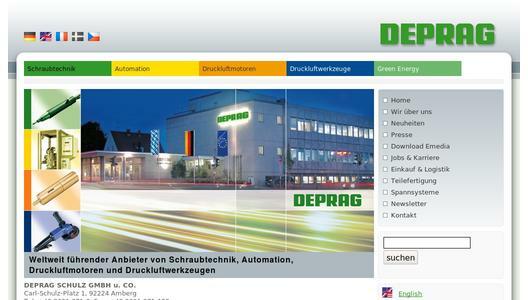 DEPRAG SCHULZ GMBH & CO. based in Amberg, Germany employs 600 employees in over 50 countries. The versatile provider for screwdriving technology and automation, air motors and air tools is a highly sought after partner. The mobile on-site calibration option supplements their range of top service features relating to screwdriving technology and is available to customers worldwide.